Profession: Director, Producer, Screenwriter, Lyricist, Music Composer, Calligrapher, Illustrator, Writer. Satyajit Ray’s name evokes memories of serious, meaningful movies. The actors and actresses through it a privilege to work in his films. The noted film-maker, Satyajit Sukumar Ray, was born on May 2, 1921, at Calcutta. His father, Sukumar Ray, was an eminent poet and writer and his grandfather, Upenderakishore Roy Choudary, was not only a distinguished writer but also a good artist. He loved writing stories for children and illustrating them with his own drawings, Sukumar Ray also wrote stories for small children. He started a magazine called ‘Sandesh’. This magazine closed down after some time but Satyaji Ray started its publication again in 1961. Sukumar Ray passed away when Satyajit was three years old and his mother took on the responsibility of educating and bringing up the young Satyajit. Ray completed his secondary schooling at the Presidency College in Calcutta. Through the influence of the poet Rabindranath Tagore, a family friend, he joined Shantiniketan and learnt drawing and painting from the famous artist Nandalal Bose. Hoping to make a career in illustrating, Ray joined a British advertising agency and soon became Art Director. In 1945, the Agency sent him to London for six months. He saw several movies there and was overwhelmed with the desire to make films himself. He came in contact with the great French director, De-Sica who had come to India to make the film, “The River”. Ray assisted in the making of this film and his interest in film-making review. While illustrating the works of the Bengali writer Bibhuti Bhusan Bandopadhyay, the idea of making a film based on the script of ‘Pather Panchali’ occurred to him. But making the movie ‘Pather Panchali was no bed of roses. “Pather Panchali” went on to become a great success and in 1956 won a prize at the highly prestigious film festival at Cannes, the President’s Gold and Silver Medals in India in 1955, and ten prestigious international awards. Ray devoted nearly forty years of his life to the film industry and made 28 full-length films and a few documentaries including a documentary on the life and works of the great poet Rabindranath Tagore. Satyajit Ray was not only a good writer, he was one of the best dialogue writers and also a good music composer. He composed the music of most of his films. Among his famous films are ‘Pather Panchali’, ‘Aparajito’, ‘Apur Sansar’, ‘Charulata’, ‘Goopy Gyne Bhaga Byne’, ‘Shatranj ke khiladi’ and ‘Sadgati’. ‘Aprajito’ won the “Golden Lion” award of the 1957 Venice film festival, and four more international awards. ‘Apur Sansar’ collected five international awards. 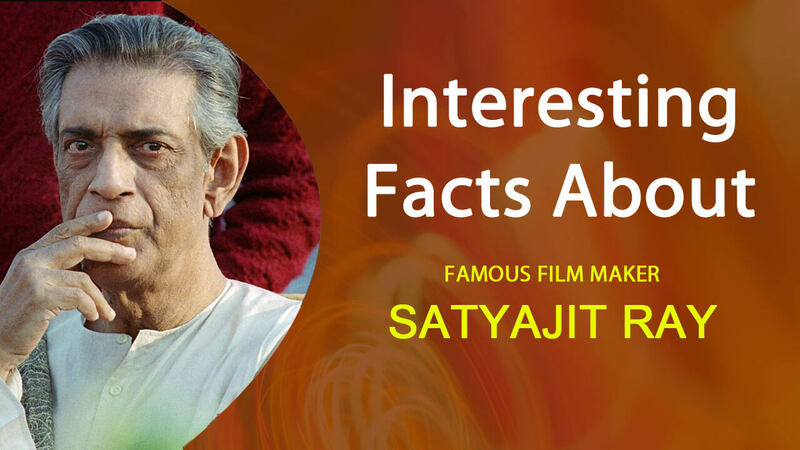 Although Satyjit Ray was deeply influenced by western modes of filmmaking, namely, Hollywood, the French Cinema and Italian neo-realism, he was equally influenced by Indian and the various art forms. Ray’s films portrayed a true picture of Indian life on screen. ‘Aparajito’ and ‘Apur Sansar’ depict the poverty and the hardships faced by the people in the Indian villages and their brave efforts to overcome the hardships. These two films were very popular abroad. Though many criticized Ray for making an exhibition of India’s poverty through his films and felt that these two films should not be screened abroad. Pandit Jawaharlal Nehru, the then Prime Minister of India, saw the movies and granted permission for the movies to be screened abroad. These movies put Ray and the Indian cinema on the international map. The movies, ‘Devi’(1960), ‘Charulata’ (1964), ‘Ghare Baire’ (1984) through light on the plight of women prevalent at that time. In the eighties, Ray shifted his focus to the trauma and problems faced by an Indian male. Ray’s movies were unique in the sense that they were based on reality and did not include unnecessary dance and song sequences. Once he chose the script, Ray would study each character and each situation minutely before starting the film and this helped in bringing out flawless films. Ray’s films were equally popular in USA and France. The French Government awarded him ‘The Legion of Honour’, the highest award in France, presented to him by President Francois Mitterand in Calcutta. He also received many awards like the Magasaysay award in 1967 and the Dada Saheb Phalke award in 1984. The happiest moment in his life came when he was informed on his deathbed that he had received the Oscar award. The Government of India had announced the ‘Bharat Ratna’ award while he was alive, but it was conferred on him posthumously in 1998. In 1991, Professor Dilip Basu, a historian of South Asia, initiated the ‘Satyajit Ray Film and Study Collection’ (Ray FASC), Basu envisioned a comprehensive archive of the works of Satyajit Ray, including reference copies of his films as well as a lifetime’s worth of originals and facsimiles of his working papers. The main aim of the FASC and its sister organization, the Calcutta based society for the preservation of Satyajit Ray films, is to preserve Ray’s films. Together, both these societies have secured commitments from the Ford Foundation and the United Nations Development Program towards restoring the films and producing archival elements to be maintained in vaults, both in India and the U.S.
UNESCO has also expressed interest in making the preservation of Ray’s film a featured element in its upcoming programs to celebrate the centenary of the invention of motion pictures. Ray FASC is also working on several educational projects. These include translating and publishing Satyajit Ray’s screenplays, and producing a study collection of reproductions of his complete working documents. Although Ray was a prolific and popular writer, not much of his work has been translated from its original Bengali into other languages. At present only a few of his film scripts ‘The Apu Triology’, ‘Shatranj ke khiladi’ (The chess players), ‘Deliverance’, have been translated into English as screenplays. The projected series of translations will make a larger portion of Ray’s writing work available to film-makers, students of cinema, and scholars interested in screenwriting as a literary form. Despite ill health, Ray continued to make films till his last days. Most of his last films were shot indoors as doctors had forbidden him to go out on locations. Ray was a great film-maker of India, who had bagged several national and international awards, including the famous Oscar award and the prestigious Bharat Ratna award. Film historian Penelope Houston commented that “Ray’s Bengal” would remain “cinema’s India”, unless someone else comes along to change it. 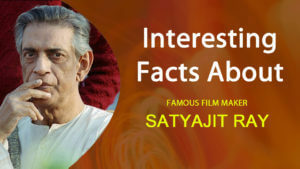 No one really has come along yet, Satyajit Ray, the renowed film-maker, director, producer passed away in 1992.